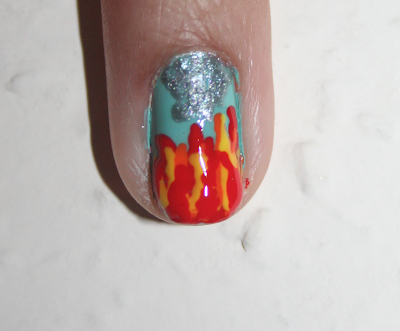 So it's been a while since the last post, but university work should occasionally take priority over nails! Here's Day 24 - Inspired by a Book! I don't know why but for this challenge I chose Lord of the Flies. Not quite as feel-good and cheerful as Disney, but I thought it would be a great subject! 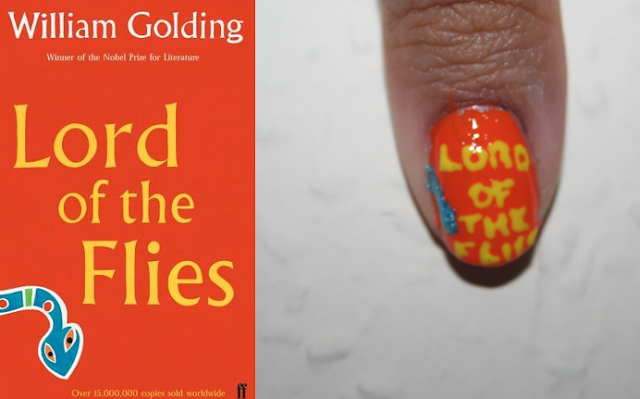 For those of you who have read Lord of the Flies these nails hopefully explain themselves! Otherwise we hope you enjoy! 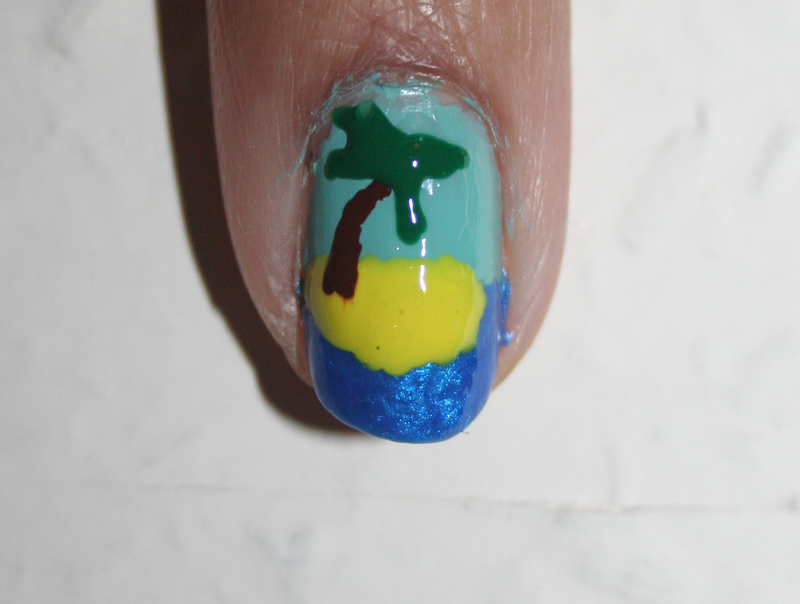 This nail is easy as pie really! Just have to have a fairly steady hand for the lettering! 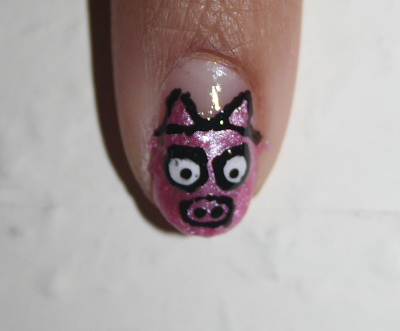 If you have read the book, you'll know Piggy (though not a real pig) is a pretty major (and annoying) character! 4) Use black outline for the rest! 5) Paint on the leaves with a dark green! And there you have your desert island paradise! If I remember back to the days of GCSE English, fire symbolism was VERY important in the book, so I decided to paint on the signal fire the boys make! 4) Throw on a bit of yellow too! This is SUPPOSED to be a conch (one of those large shells you can hear the ocean in), but looks more like a peachy, pinky brown blob... I tried! 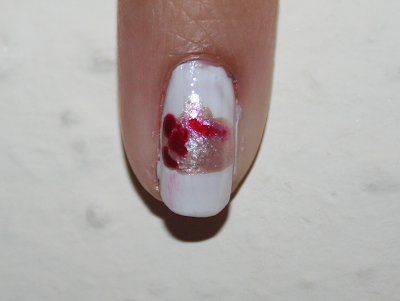 3) Use a pink to draw a line indicating the inside of the shell!